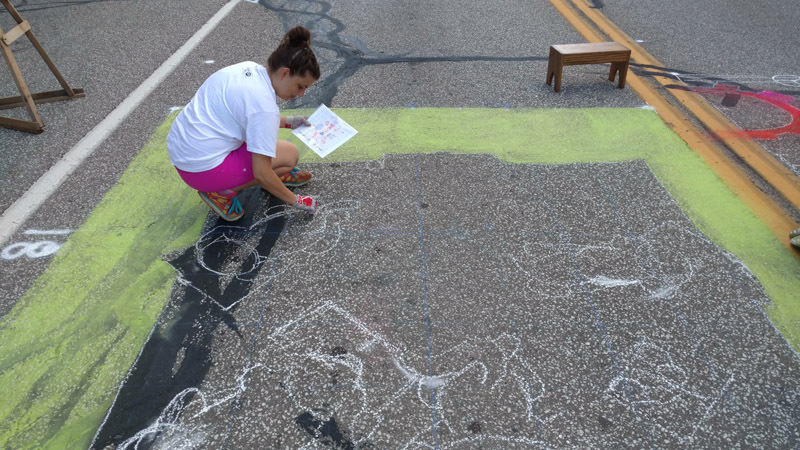 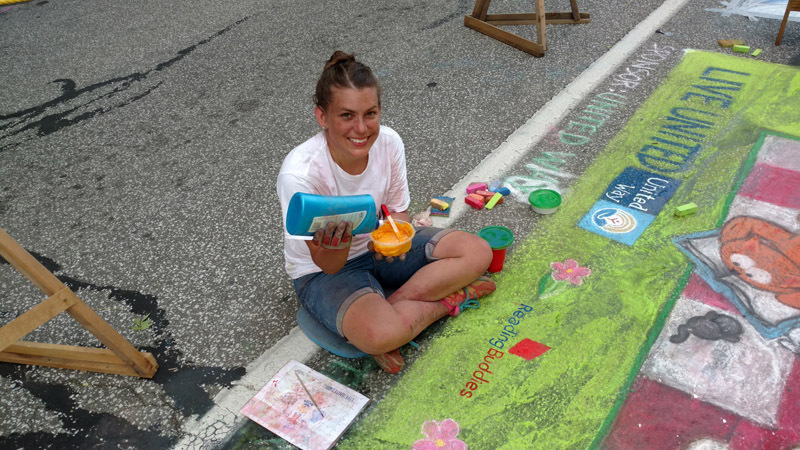 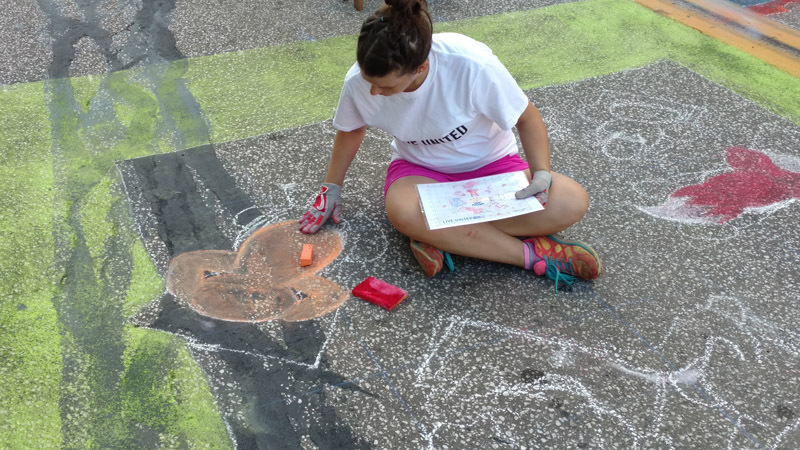 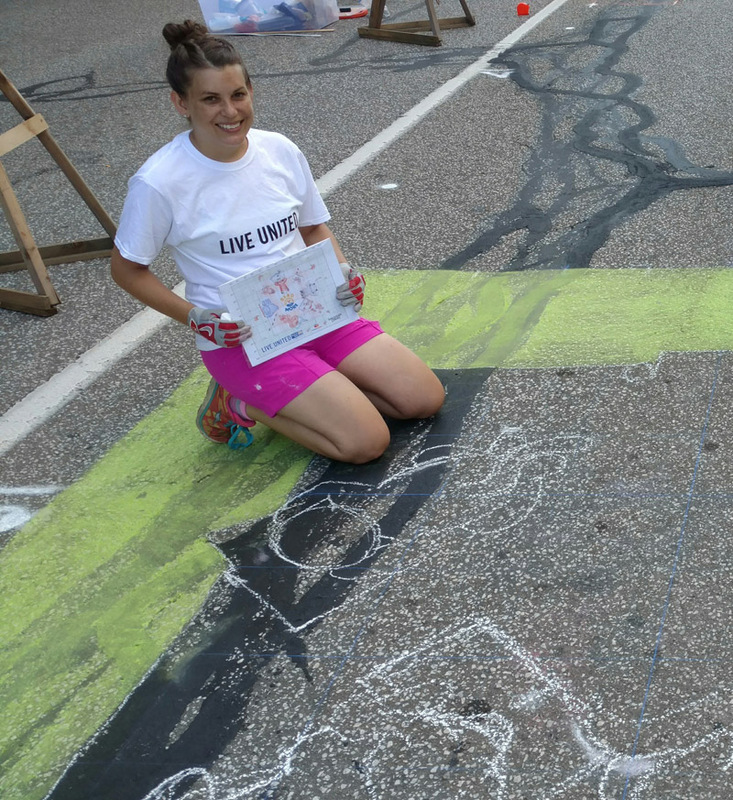 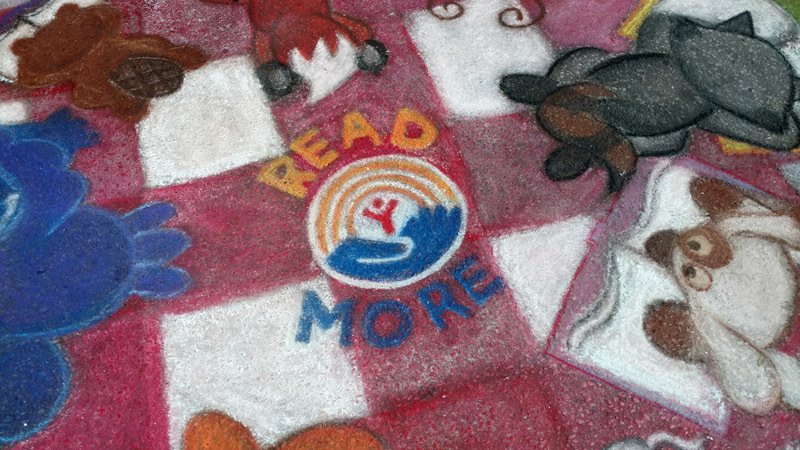 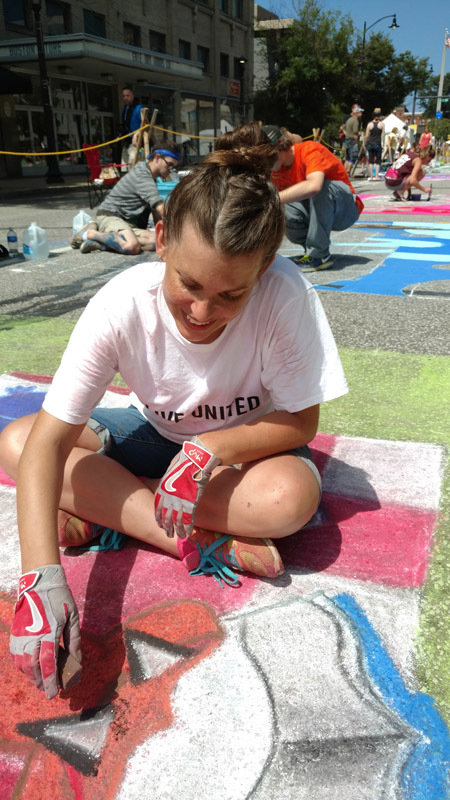 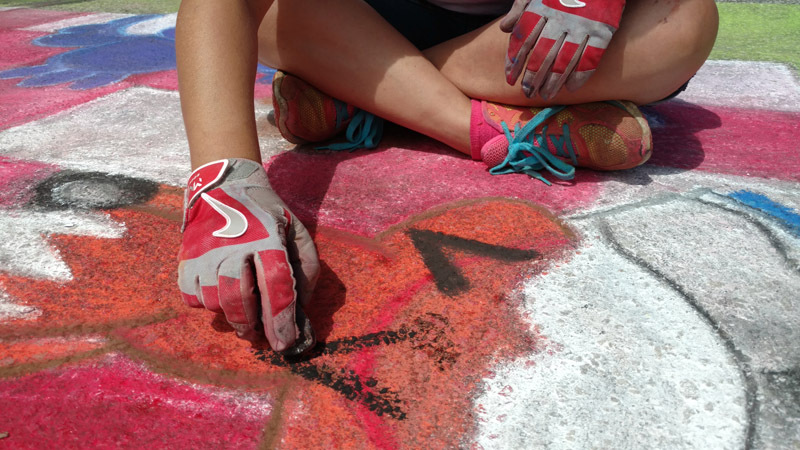 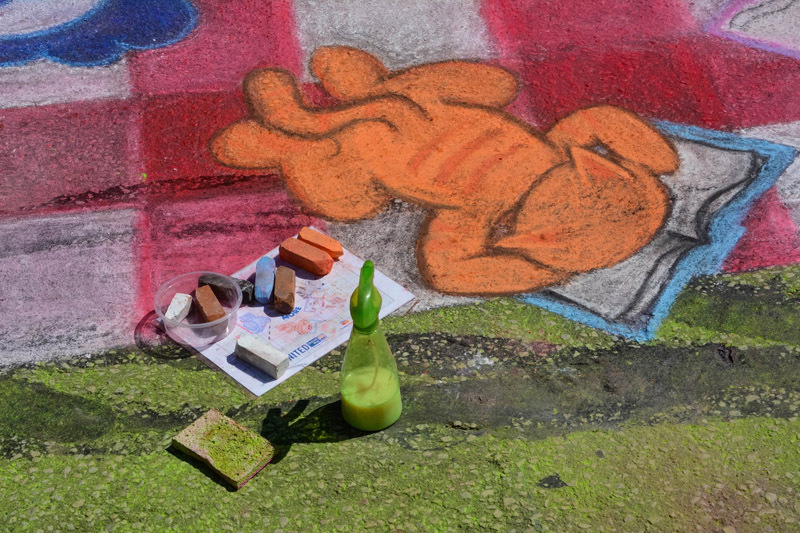 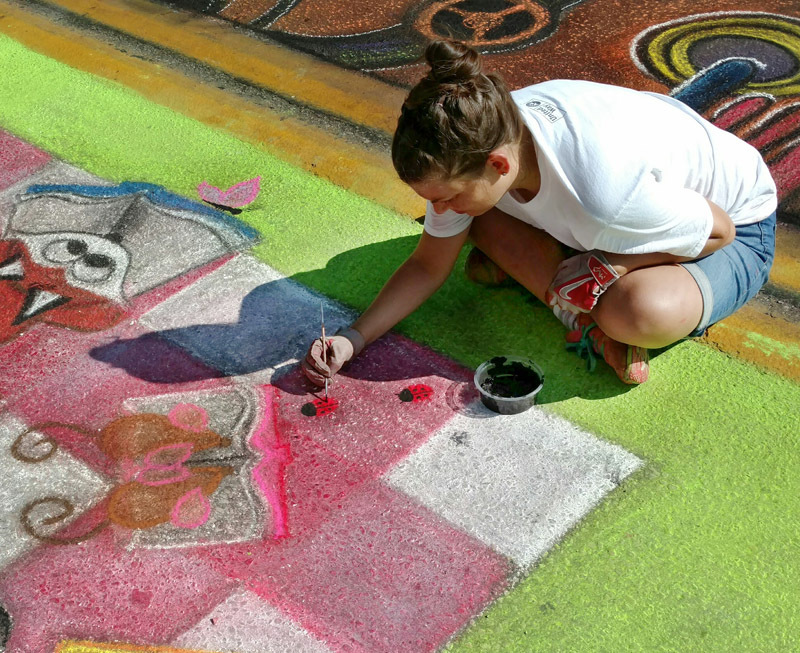 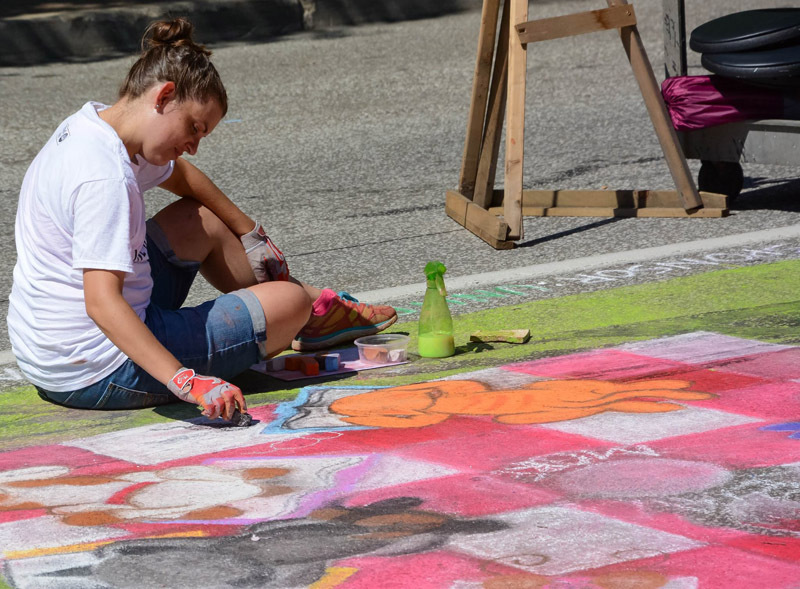 For the 2016 Chalk Walk, my sponsor was United Way of Erie County, specifically their Reading Buddies program. 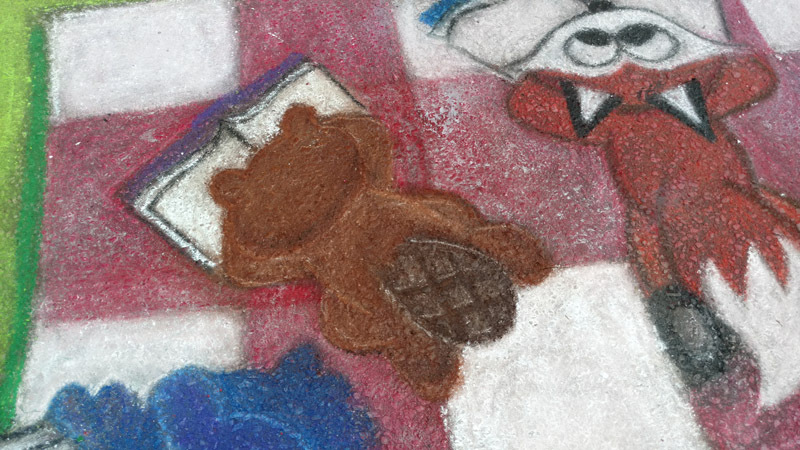 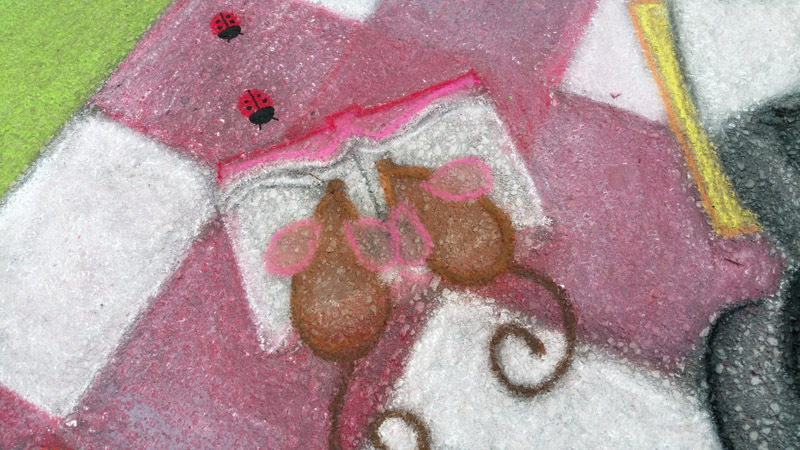 To tie in with my Reading in the Park mural, I created a design that features animals sprawled out on a picnic blanket reading books. 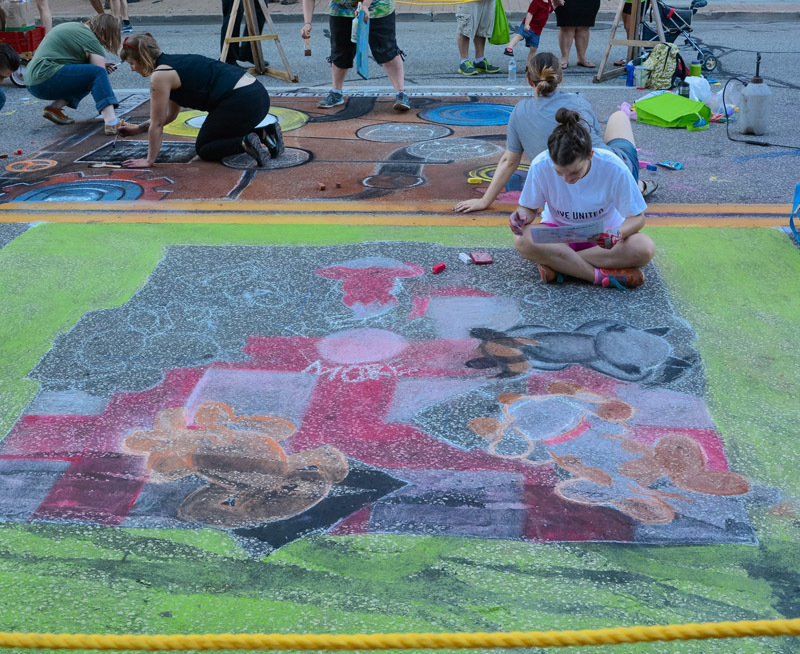 This mural was very detailed – it took me about 20 hours to complete. 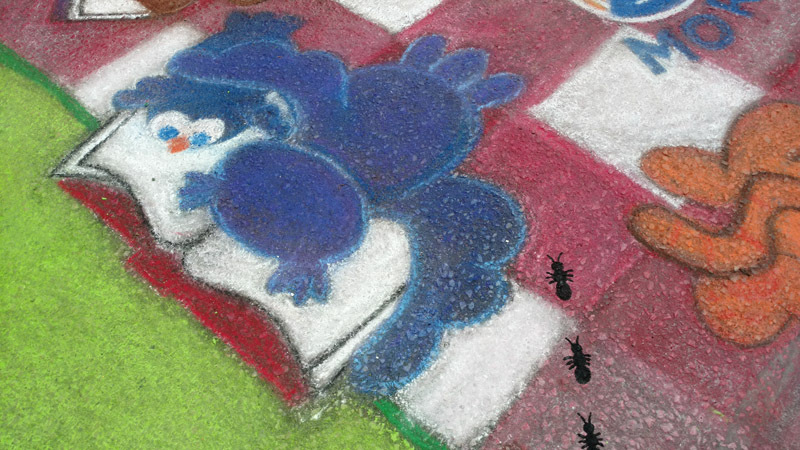 It was a lot of work but I am very happy with how it turned out!